16 Bri goes 3-0 and 15 Rob goes 2-1 at NEQ's. #9 rank in the field of 73 teams in the USA Division they will be Seeded #1 in the R2D1P9 pool on Sunday. NAVC 15 Robert goes 2-1 on the first day of the NEQ. Moving from a rank of 67 to 25 and playing in the R2D1P3 pool on Sunday. Ranked 5th in the 20 team 16 Girl division Seeded #1 in 16 Girls Pool 5 went 1-2 in pool pool play creating a 3 way tie. 16 Paul won the tie breaker ending up 2nd in pool play and moving into the Gold Bracket on Sunday. Began the day ranked 6th and Seeded #1 in Poll 6. 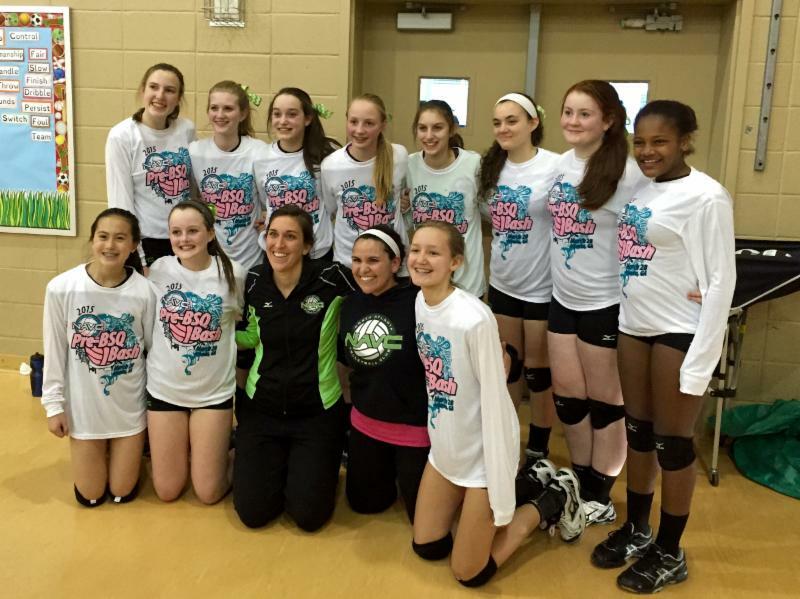 13 Ashley went 3-0 in Saturday play beating Southern Performance, NASA and Alliance. Will play in Gold Bracket on Sunday 9:00 am vs. NASA South. A great day that ended beating a very tough A5 12-2 in three games to win the 13's Championship.